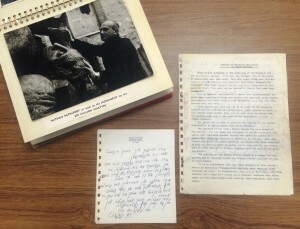 Goldman writes: “In 2011, I started research on Nathan Rapoport’s Monument to the Six Million Martyrs (1964), arguably the first public Holocaust memorial in the US, located in Philadelphia at the corner of 16th St., Arch St. and Benjamin Franklin Parkway. Designed by artist Nathan Rapoport, famous for his Warsaw Ghetto Uprising Monument (1948), the sculpture has largely been ignored in the literature of Holocaust memory in the US. Abram Shnaper, a Holocaust survivor, had initiated the monument’s commission on the behalf of the Association of Jewish New Americans, a Philadelphia survivor organization that he had founded in 1954. Together with the Jewish Federation of Greater Philadelphia, the groups raised $47,000 for the monument. Shnaper painstakingly documented the entire process, from raising funds, to writing letters to the artist, to sending telegrams to Israel to invite Israeli officials to the dedication ceremony. When I visited him in his home in 2011, Shnaper conveyed to me his wish that the documents stay in Philadelphia, close to the monument. 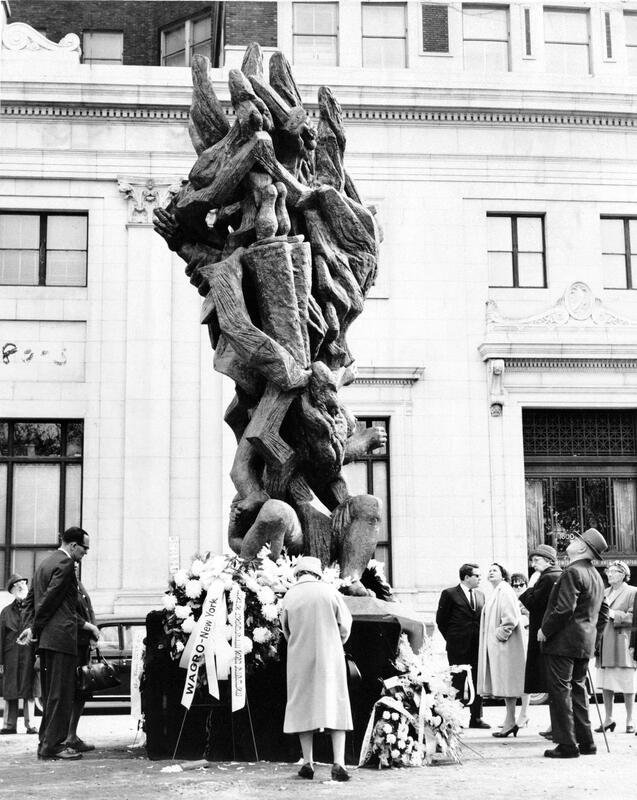 Acquired by the SCRC in 2014, the Abram Shnaper Papers on the Monument to the Six Million Jewish Martyrs are open and available for research. View the online finding aid or catalog record for a description of the collection’s contents and to request access to the materials in the SCRC reading room. Natasha Goldman’s article on Rapaport’s memorial, “Never bow your head, be helpful, and fight for justice and righteousness: Nathan Rapoport and Philadelphia’s Holocaust Memorial (1964),” will be published in the Summer 2016 in the Journal of Jewish Identities, issue 9, number 2. The article will also appear in her forthcoming book, Holocaust Memorials in the United States and Germany: From Grass-Roots Movements to National Debates (under advance contract; Temple University Press, Spring 2017).